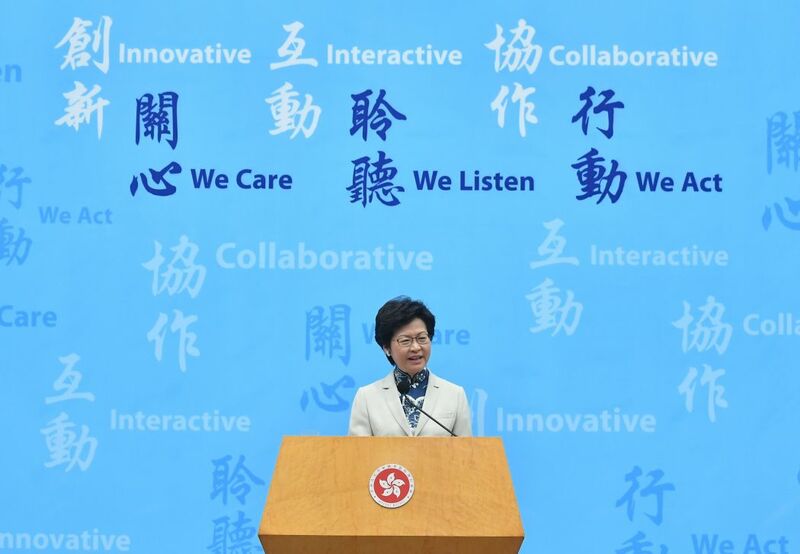 Chief Executive-elect Carrie Lam appears to have been blessed with another magic number. 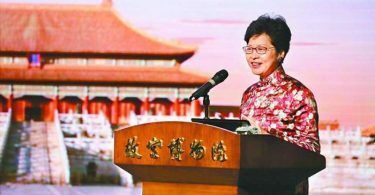 After being selected as Hong Kong’s leader with 777 votes in March, Lam announced her new cabinet on Wednesday. Whilst she boasted a “new style of governance,” it was difficult ignore that only one member of the cabinet was recruited from outside the government, and only one was a woman. Their age is another notable issue. 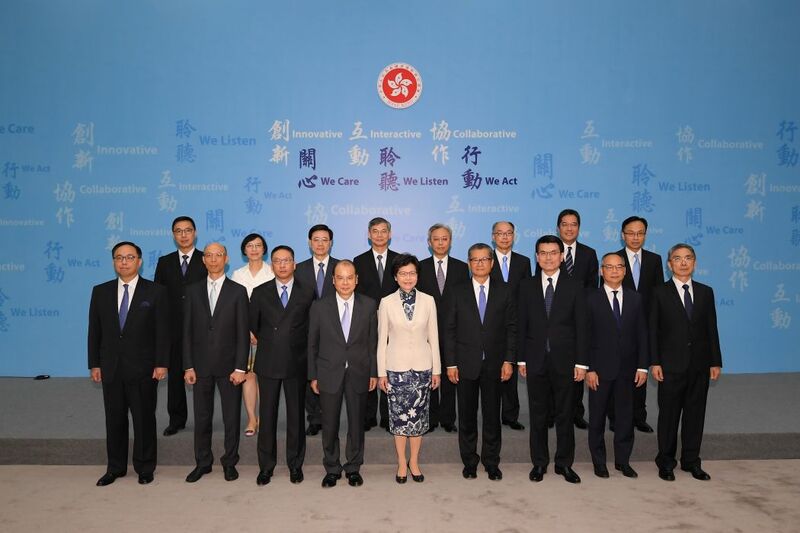 The 17 top officials, including Lam and the 16 secretaries, have a total combined age of 999 – the oldest cabinet yet. All of the officials are aged over 50, with seven of them aged over 60. Lam herself celebrated her 60th birthday in May. 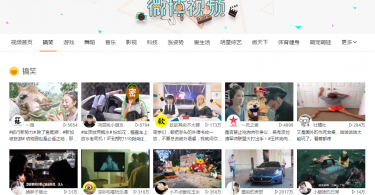 The average age of the team is 58.7 – three years older than that of the average Leung Chun-ying administration official. The oldest official is James Lau Yee-cheung at 67 – he will become the new secretary for financial services and the treasury. The youngest one is the incoming secretary for constitutional and mainland affairs, Patrick Nip Tak-kuen, who is 52. Carrie Lam’s new administration meeting the press. Photo: GovHK. There is only one female secretary on Lam’s team – incoming secretary for food and health Professor Sophia Chan Siu-chee. This is despite a pledge to include more women in the administration. 999 is commonly used as the phone number for the emergency services, though the number 777 also raises eyebrows locally. Lam, a Roman Catholic, previously explained that she consciously chose to win by 777 votes after reviewing and accepting a problematic ballot, thus adding one more vote to the 776 she already had. “In the Bible, the number seven is a good number, quite a perfect number,” she said.